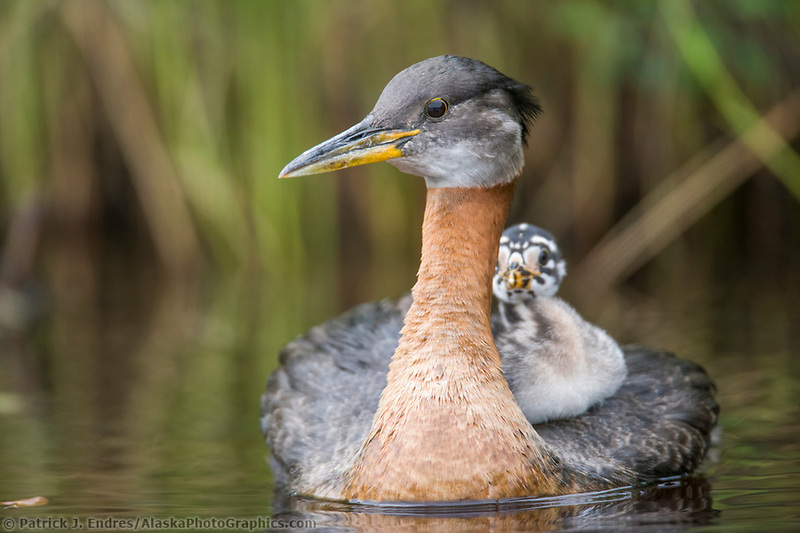 Public LandsParks, refuges, preserves & special places. 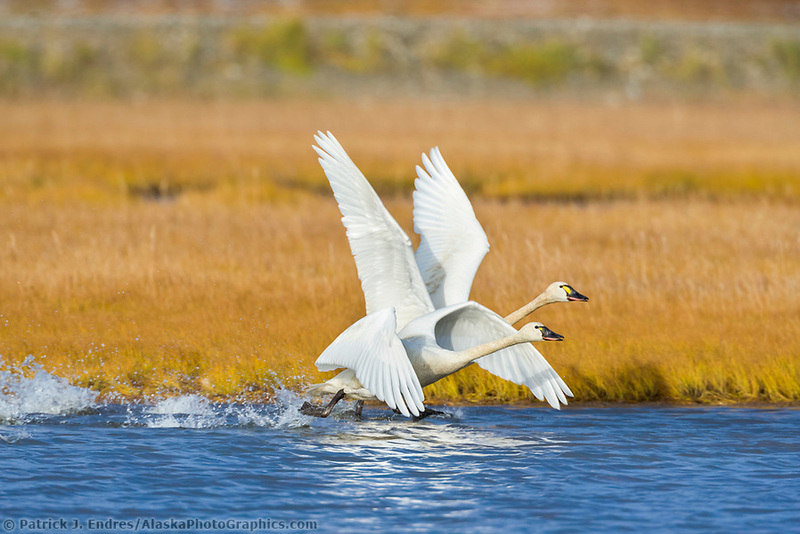 Alaska is a unique place in that it provides habitat for many migratory birds that choose its food-rich land to raise their young. 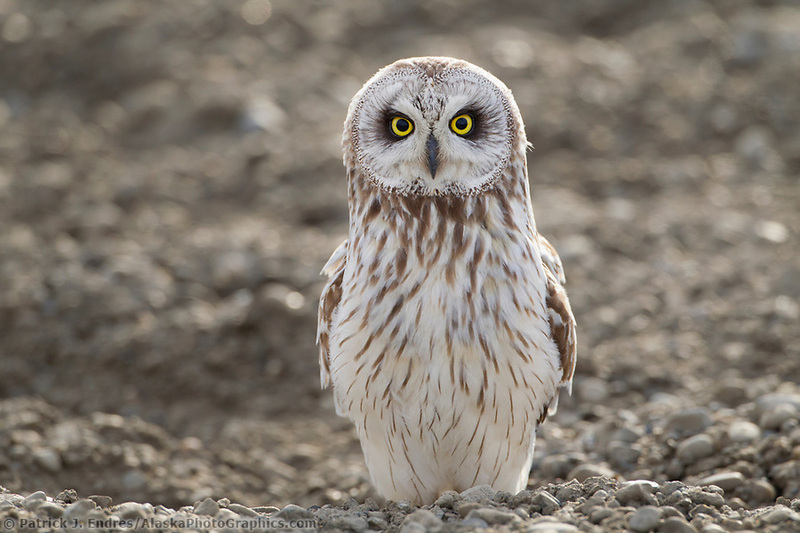 Owls, swans, cranes, songbirds, and many more arrive in spring and after a summer of sunlight and successful parenting, head south for warmer weather in the autumn. Some fly incredible distances in favor of the abundant daylight and plentiful food availability. 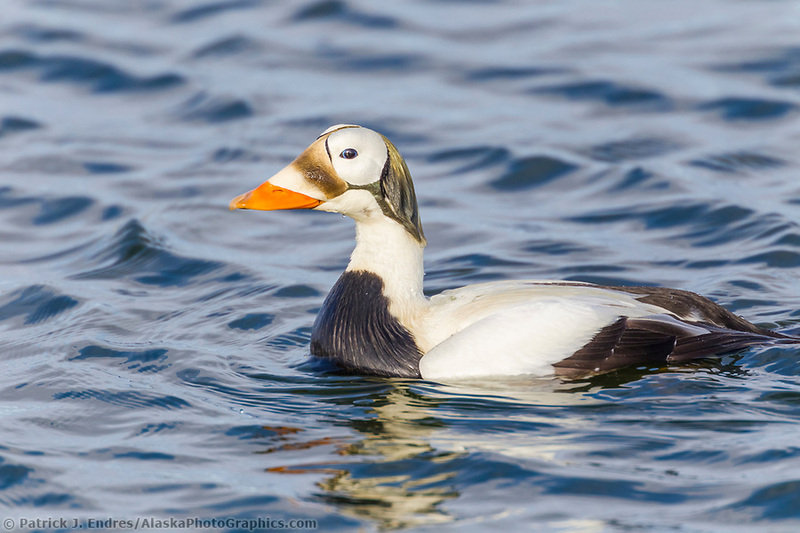 All of the Alaska bird photos here are available for purchase as stock photography, or as fine art prints to display in your home or office. 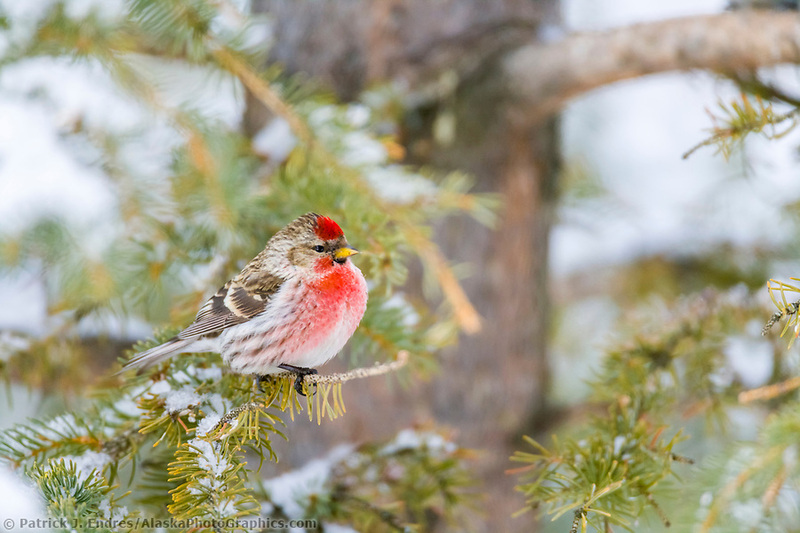 Common redpolls are ubiquitous birds throughout much of Alaska’s Interior and Arctic regions. 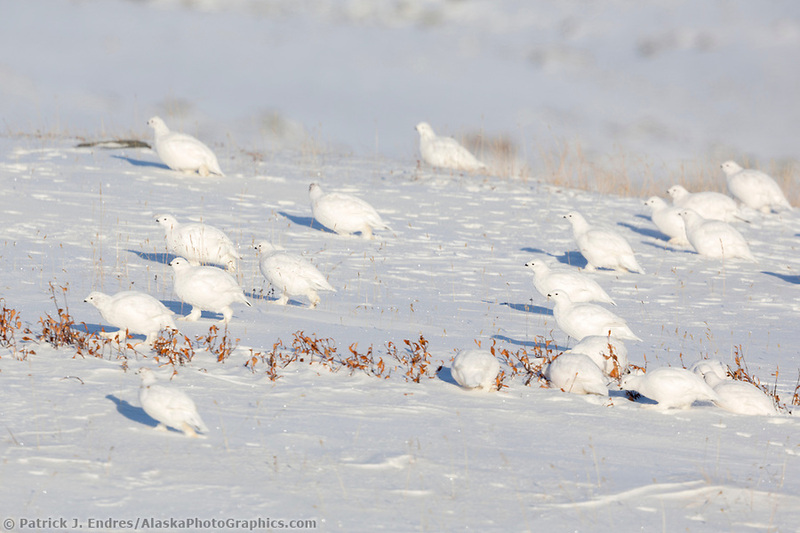 They inhabit the boreal forest and Arctic tundra and travel in flocks. They can survive in very cold weather and tunnel into the snow to stay warm during cold nights. 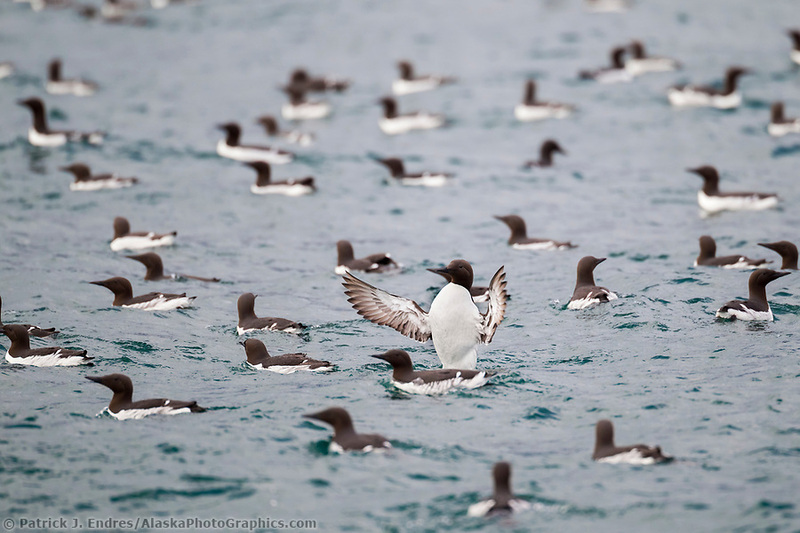 They are one of the birds that overwinter in Alaska. 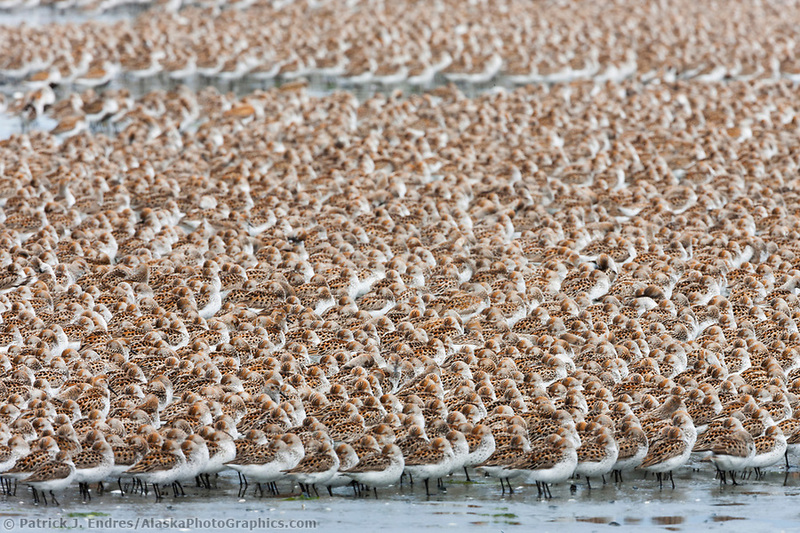 Known for their very bright red breast and crown during mating plumage, they are a beautiful bird. 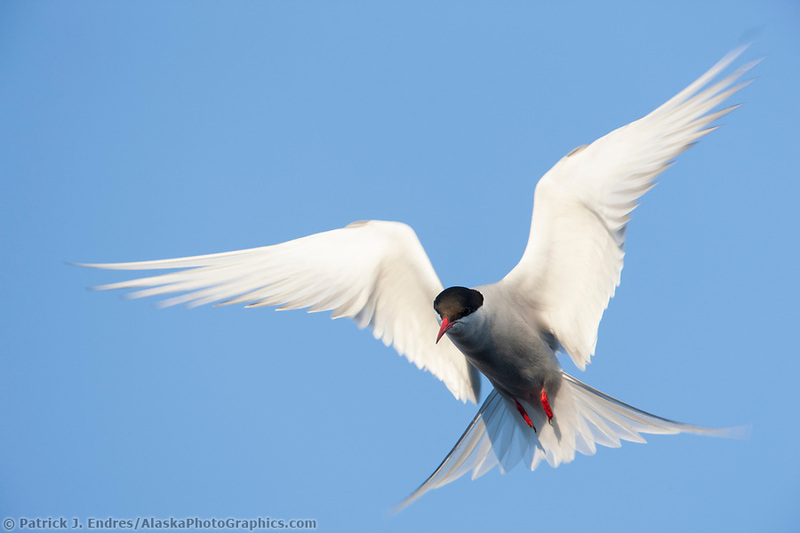 The Arctic tern is a slender and graceful flying birth that migrates up to 25,000 miles between its summer breeding range in Alaska’s Arctic, to the wintering grounds in Antarctica. 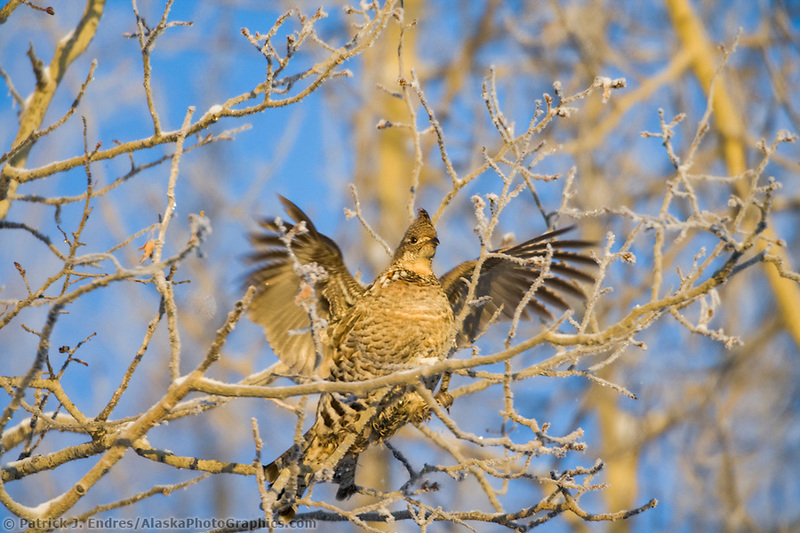 Ruffed grouse forage in Alaska’s boreal forest floor seeking seeds and insects. 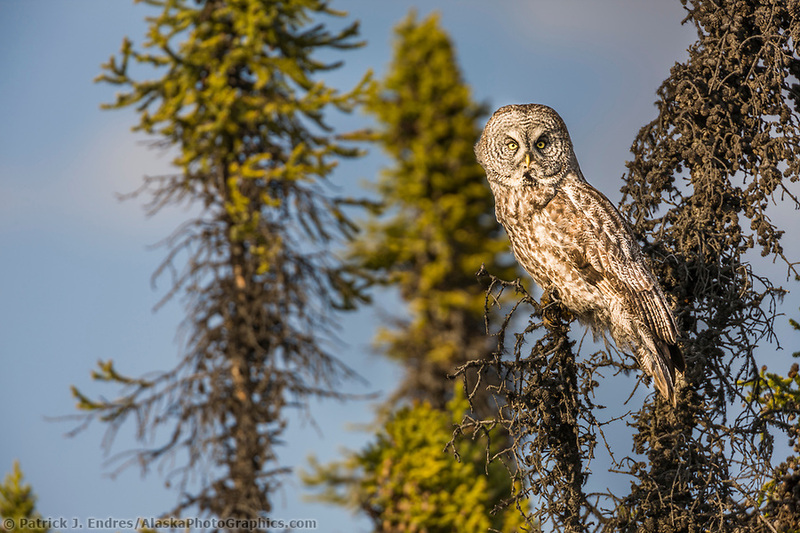 Males make a drumming sound by beating their winds, often doing this while standing on a log. 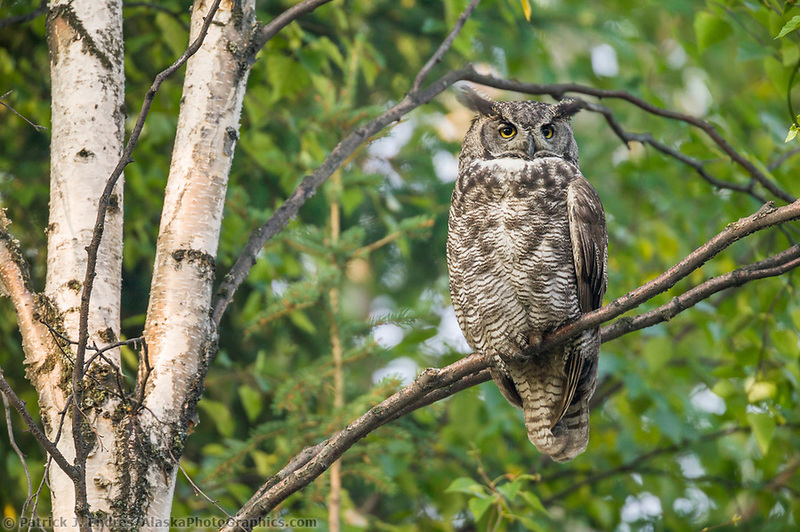 During the winter, the birds can be seen eating buds on deciduous trees of the boreal forest. 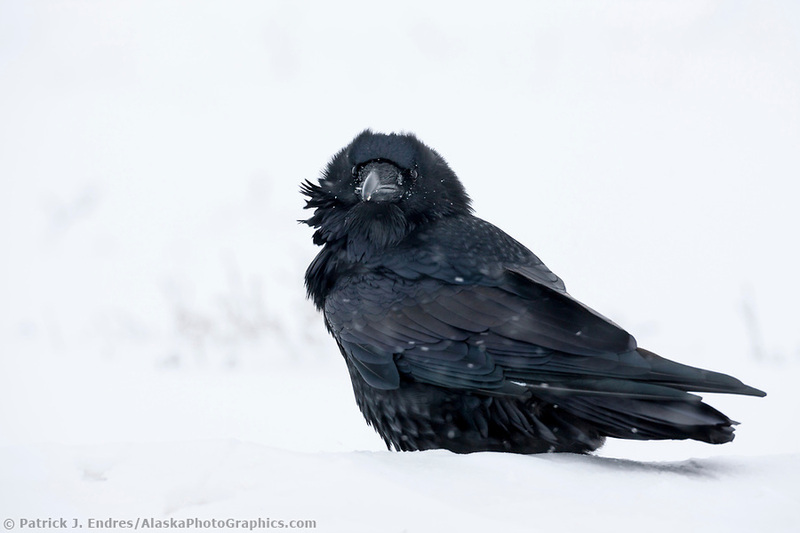 Ravens are among the smartest of all birds. 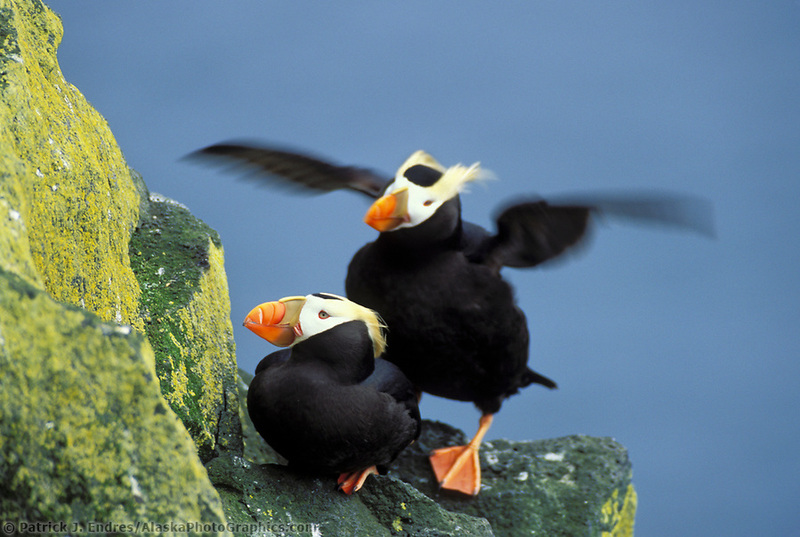 They are entirely black in color, with a large beak. Scientists have defined their vocalizations into as many as 33 different categories. 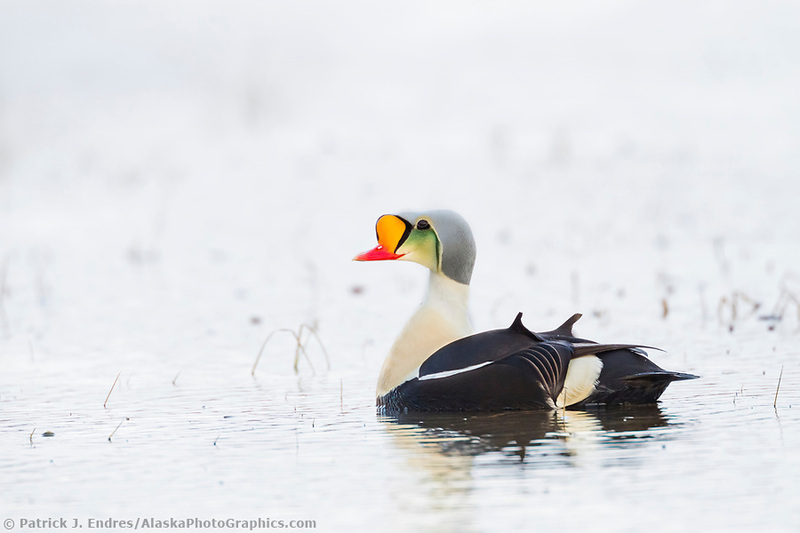 They are a bird that appears often in Native Alaska mythology and lore.